Since it’s now December, we decided it was time to set up our Christmas tree. We have such a variety of tree decorations (some old, some new, some homemade, etc.). It’s certainly not like the perfectly coordinated trees that you’ll find in a department store window. Each of our little ornaments has some sort of special meaning plus it’s perfect for this Scavenger Hunt Christmas Tree Game! 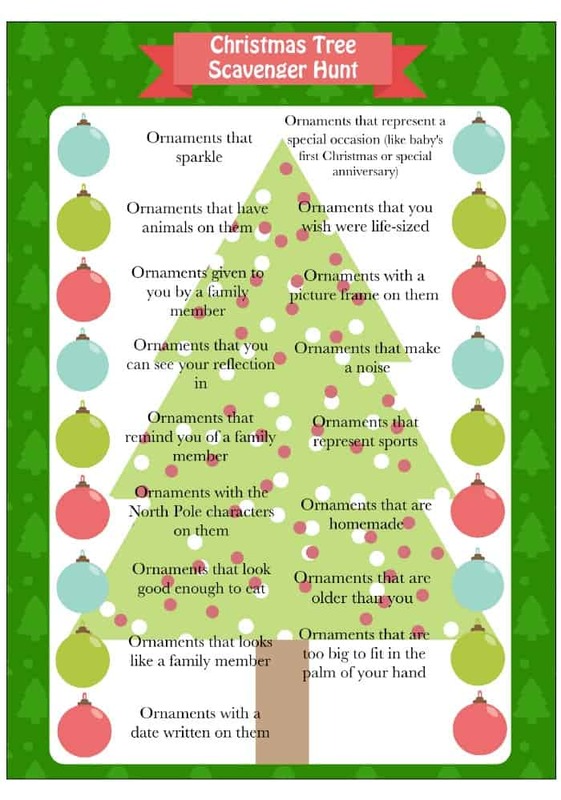 Simply fill in the number of each ornament that you want your child to find. For example, if you have a lot of sparkly ornaments on the tree you may want to ask them to find 6 of them. I’ve also left a blank line on the bottom of the free printable so that you can add in another item to search for. Make sure each player knows that they have to explain why they chose each ornaments as an answer. The answers you’ll hear are sure to cause some giggles! If you love Christmas games, you’ll want to check out all of the other fun & free printable Christmas games on Moms & Munchkins. We have games like charades, more scavenger hunts, word search, word scramble, dress up games, trivia and more! Visit our special Christmas Fun page. 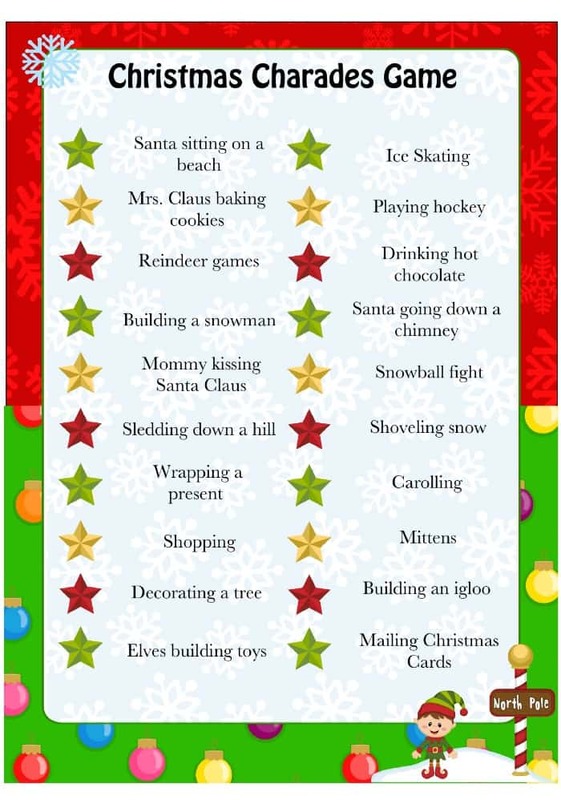 Here’s a sneak peek at one of our most popular Christmas printables – Christmas Charades Game! We’re always adding new ideas and freebies! Never miss an update by following us on Facebook, Twitter, Pinterest and Instagram. Our tree is such a hodgepodge, this game is perfect for us. And I think my girls would love playing it! Thanks for the printable! What a fun game! Ever since we put the tree up my kids want to “play” with it every night. I will have to try this game, I bet they would love it! My tree is still a bit bare from getting cut in half from my divorce, but I’m saving this for next year! OK Cheryl, that is genius! I am going to do this with my kids (even though they are older) but I think it will make it fun for them. Thanks for sharing. Aww, thank you – that’s sweet! I love Christmas games with the family. I do have a few more ideas up my sleeve. 🙂 My little guy is too young to play most of them but my husband enjoys them. Ha! Wow! You never cease to impress with all your amazing activities and ideas for kids and families! Love this one! LOVE this! I will be doing this with the kids for sure! LOVE the Christmas tree scavenger hunt! Sounds like a great game to play when the kids are getting wild and it’s dark at 4:30. I plan to pull this one out in a month. Thanks for linking up at After School!